Romania is supporting the efforts of the European Commission (EC) in the negotiation over the reformation of the World Trade Organisation (WTO), Stefan-Radu Oprea, Romania's minister for the business environment, trade and entrepreneurship, told a formal meeting of the EU's Foreign Affairs Council (Trade) in Brussels. 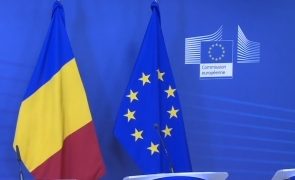 "Romania is supporting the European Commission's efforts in the process of negotiating the reform of the WTO as an essential tool for free trade that generates development, sustainability and trust in international relations," said Oprea. "In the same context of promoting multilateralism and strengthening trade relations globally, the trade ministers of the EU member states looked into the state of play in current trade negotiations between the EU and third countries and the implementation of already agreed agreements, based on the presentation of the European Commission's annual report on the implementation of the free trade agreements for the period from January 1 to December 31, 2017 by Trade Commissioner Cecilia Malmstrom."